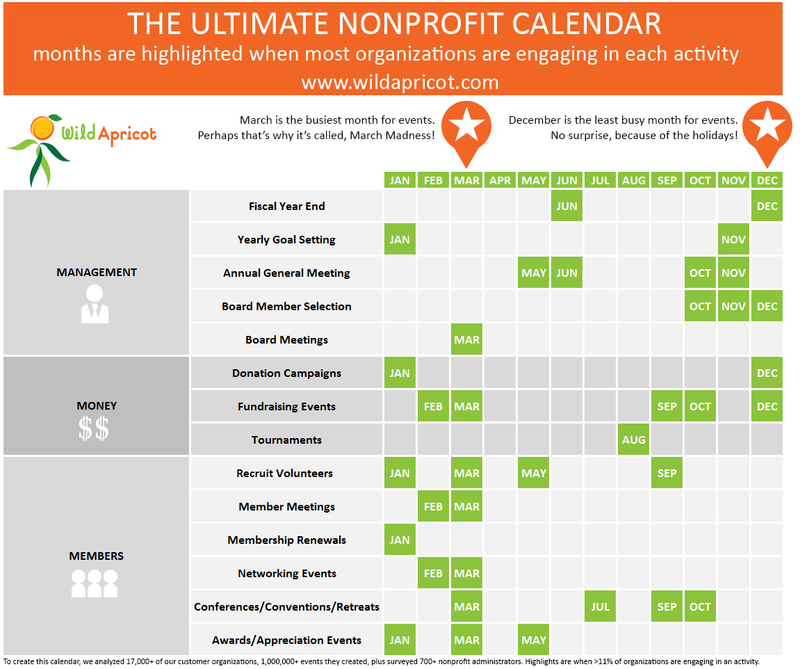 When are nonprofits holding member meetings? When does a board typically get together? When are nonprofits looking for new volunteers? I created this calendar by analyzing over 1,000,000 events Wild Apricot's 17,000+ customers created in the last three years. Below you'll find an easy-view calendar of the findings. Excellent sample calendar. great to see how others plan out their efforts! Do you have this as a downloadable excel file? Thanks!